Successful collaboration between World Land Trust partners Fundación Jocotoco (FJ) and NHEMA in the past has led to some significant discoveries for bird conservation, and resulted in publications on the first descriptions of nest studies in species such as the Jocotoco Antpitta. The beautiful pink eggs of the Curve-billed Tinamou – one of the many species being documented by the research on the Jorupe Reserve. 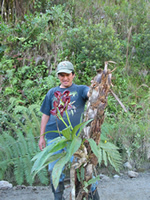 A FJ staff member rescues one of the beautiful orchids smashed from the trees. 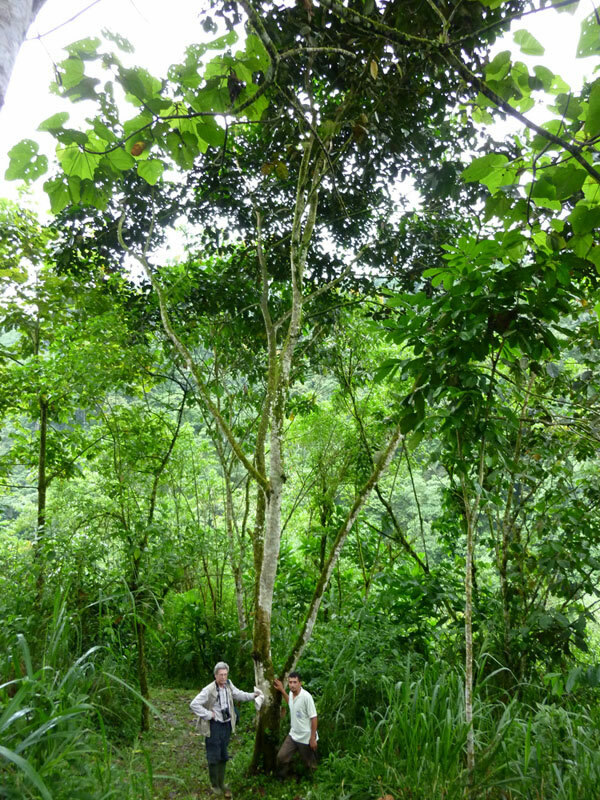 Nigel Simpson revisiting an Inga tree he planted in 2004. As a result of the exciting discovery of a new Jocotoco Antpitta nest in February, FJ initiated new nest studies on the Tapichalaca and Jorupe reserves. These observations have indicated good use of the Antpitta nest and the first nest description of the Rufus Wren at Tapichalaca. At Jorupe, over a 10-day period of research, 128 nests were recorded as being used by more than 30 species. These recordings will be documented in future publications and will provide new data as little is known about these rare and elusive species. 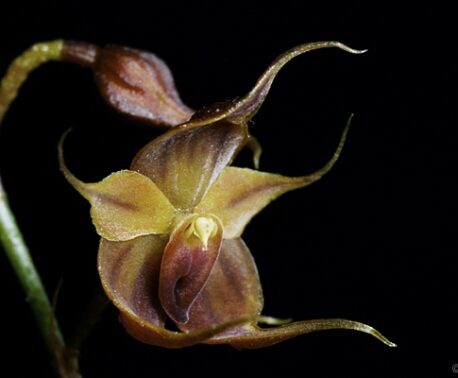 It was a race against time when Dr Robert Ridgely, Deputy Director of WLT-US was last year faced with the traumatising task of rescuing orchids directly from land clearing machinery on the boundary of the Tapichalaca Reserve. Whilst on a site visit to the reserve he came up against the clearance for a road widening project. 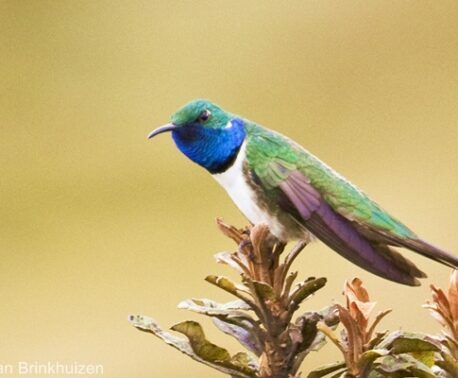 "I was nearly crying", said Bob, "it was heart breaking and just brings it home to you how fragile these habitats are". 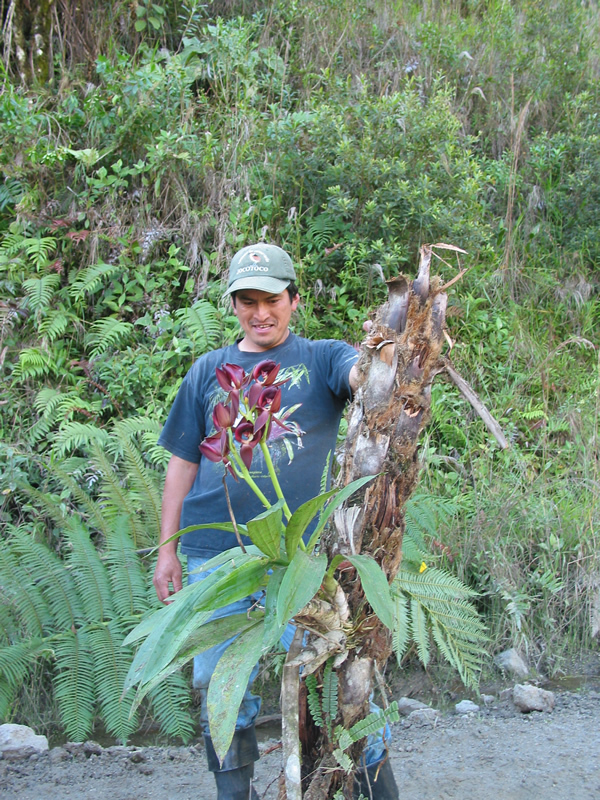 Bob, and staff from Fundación Jocotoco, were in time to rescue and relocate some of the orchids. Nigel recently re-visited the tree which he planted as a seedling six years ago. 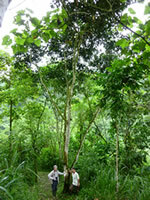 "It is now 15m high and in fruit – providing important food for wildlife. And just below, by a small stream across the trail, was a pair of Pacific Royal Flycatchers." On 8th February a pair of Condors was seen circling over the tree planting area on another of FJ's reserves, at Yanacocha. This demonstrates that restored forest can provide suitable habitat for these large predatory birds.